For several months, I’ve had this idea for peanut butter cake pops lurking in my brain, just waiting for the opportunity to be tested. Well, this opportunity presented itself when I made some peanut butter icing for my chocolate peanut butter chip cupcakes…and I jumped all over it. Imagine a peanut butter cake pop with peanut butter chips, covered in dark chocolate, topped with more melted peanut butter chips and then a mini peanut butter cup on top… Peanut butter lovers, your search is over! First, make a standard yellow cake. 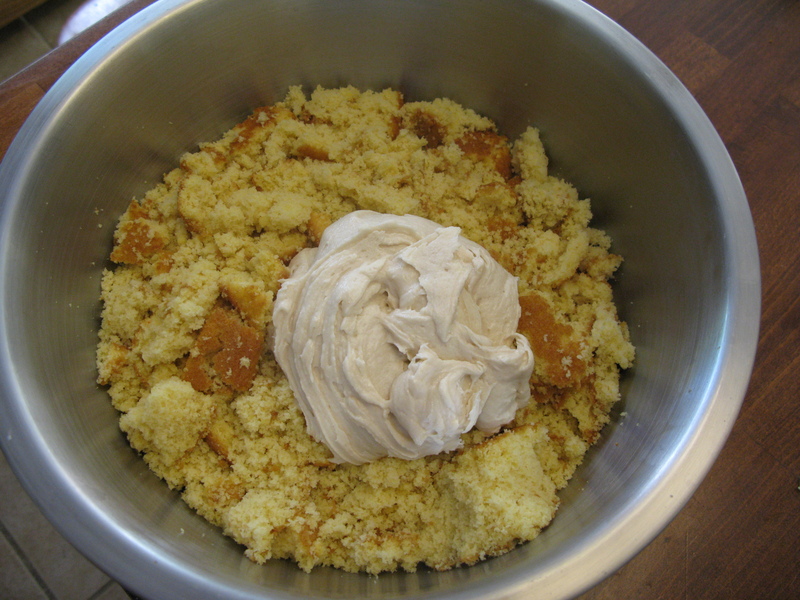 After the cake has cooked and cooled completely, crumble into a large bowl. Spoon peanut butter icing into bowl. Next, using an electric mixer, beat at medium speed until mixture is completely combined and all cake crumbs have been mixed in. Pour your peanut butter chips in bowl, and stir together well. Using a cookie scoop, drop the cake balls on a cookie sheet lined with parchment or wax paper. Set in refrigerator for at least 30 minutes. Roll cake balls in your hands to smooth out any rough edges, place back in fridge. Melt chocolate in 15-20 second intervals, stirring after each time, until completely melted. Take a long lollipop stick, dip the tip in chocolate. Then, inset into cake ball, dip in melted chocolate. Twist pop around in your hand, letting the excess chocolate fall off. 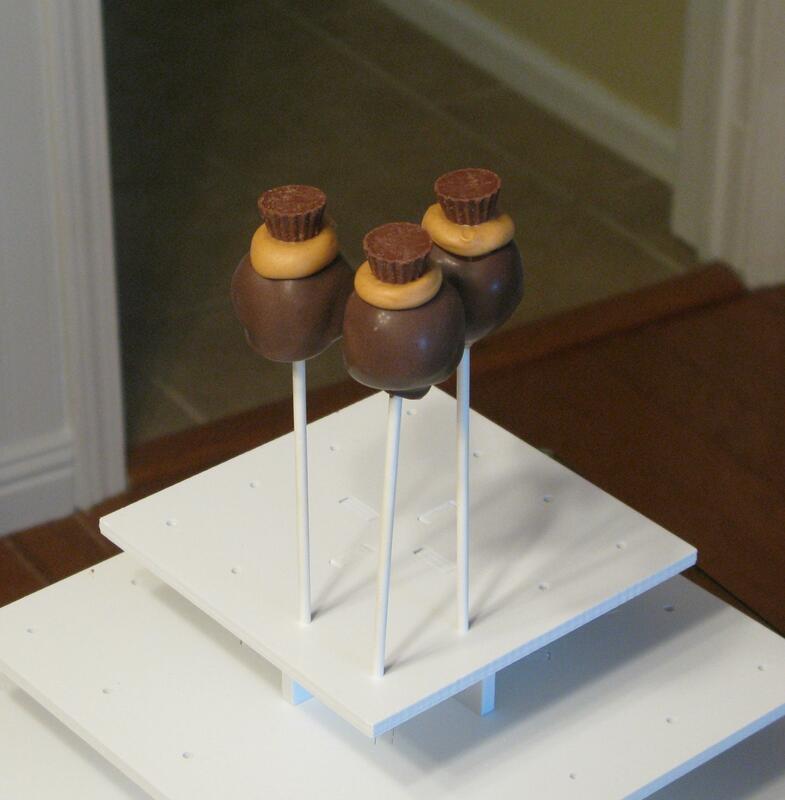 Place in a block of styrofoam or a cake pop stand to let chocolate harden. Melt the peanut butter chips in 15 second intervals, stirring in between each time. Spoon a small amount of melted peanut butter chips on top of cake pop, then press a mini peanut butter cup on top. Ladies and gentlemen, this is peanut butter paradise…and here is your king. Bake cake according to box directions, cool completely. 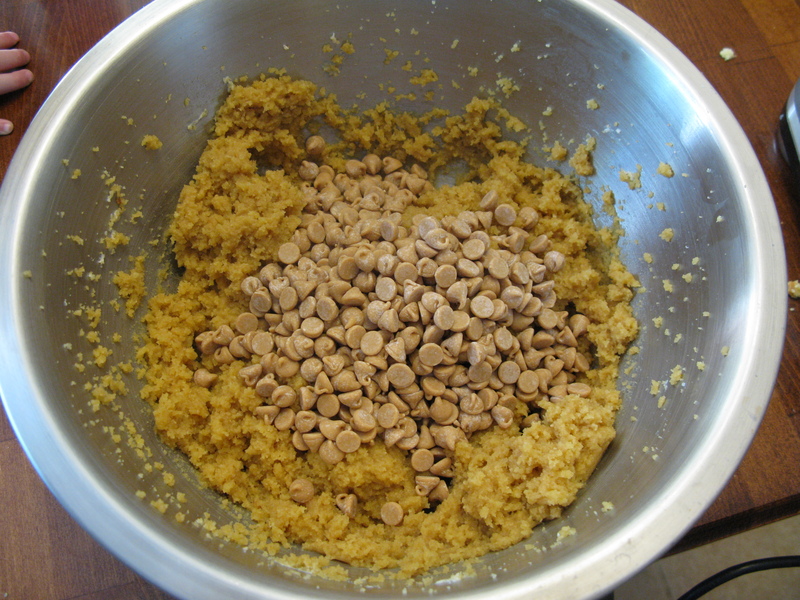 Crumble into large bowl, add 2 cups peanut butter icing, beat at medium speed with electric mixer until mixture is completely combined and all cake crumbs have been mixed in. Stir in 1/2 cup of peanut butter chips. Using a cookie scoop, drop the cake balls on a cookie sheet lined with parchment or wax paper. Set in refrigerator for at least 30 minutes. Roll cake balls in your hands to smooth out any rough edges, place back in fridge until ready to dip into chocolate. Beat butter, shortening, and peanut butter for 2-3 minutes at medium speed. Add remaining ingredients, continue mixing for another 3-4 minutes. Store in airtight container.